If you had one day to live what would you do? Would you plant a tree? Would you rob a bank? Would you tell someone how you really feel? What Do You Want to Do Before You Die? is an illustrated collection of your wildest dreams. Two hundred of the most moving, imaginative, amusing, and thought-provoking things to do before you die are brought to life through handmade art curated by Dave, Duncan, Jonnie and Ben—the founders of The Buried Life. These four regular guys are on a mission to complete a list of 100 things before they die, and for every item they accomplish, they help a total stranger do something on his or her own to-do list. 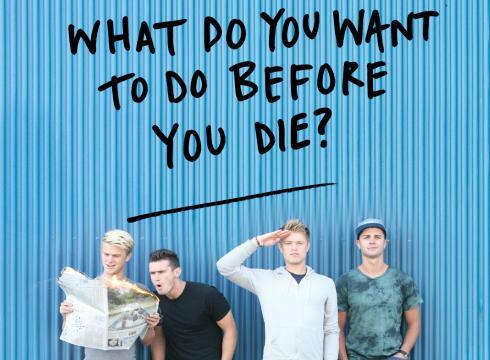 Peppered throughout the book are lessons, secrets, and stories that come from five years of asking millions worldwide: What do you want to do before you die?